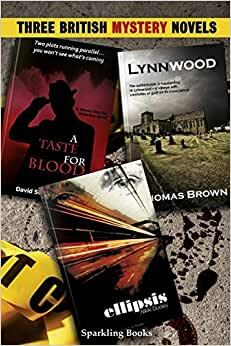 Start reading Three British Mystery Novels on your Kindle in under a minute. Thomas Brown is a postgraduate researcher at the University of Southampton, where he is investigating the relationship between horror and the sublime in literature. He has been Co-Editor of Dark River Press, and has written for a number of magazines, websites and independent publishers. In 2010 he won the University of Southampton's Flash Fiction Competition. In 2014 he won the annual Almond Press Short Story Competition. He is also a proud member of the dark fiction writing group: Pen of the Damned. When not writing, he can usually be found waiting on his cats, or enjoying a bottle (or two) of red with friends.